The chart supports displaying a helper popup toolbar that offers various functionality such as changing the series type, fill and line color as well a specifying the marker type and label visibility. When clicking on a series point, slice, or bar depending on the chosen series type the popup will be shown and initialized based on the current settings of the series. The popup options can be configured via the Popup.Options property. This allows you to show more or less dropdown pickers depending on the series configuration. Below is a sample that demonstrates displaying the full set of options versus a limited set with line color, type and width. Simply drop a chart on the form and set the code in the formcreate. The y-axis and y-grid are configured to display every 20 units. Included is a sample that demonstrates how to use gantt charts. 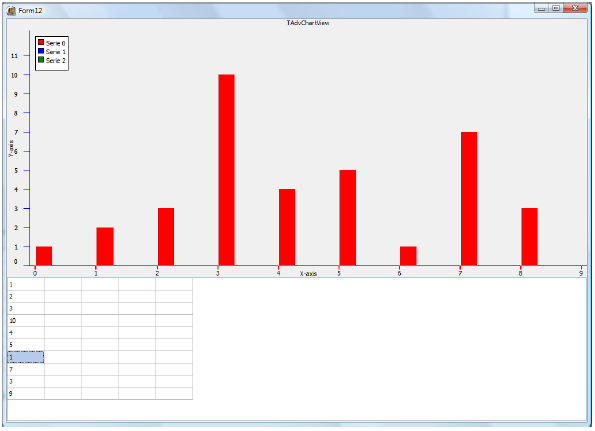 Below is a sample code with XYLine chart that allows selection of the point with the SelectedIndex property. The GDI+ charts are a combination of GDI and GDI+. some elements are drawn in GDI and some elements are drawn in GDI+. Therefore printing a GDI+ chart directly on the printer canvas (which has a different DPI) results in elements with incorrect dimensions. The sample shows how a GDI+ chart can be printed on a bitmap, which is then printed on the printer canvas. 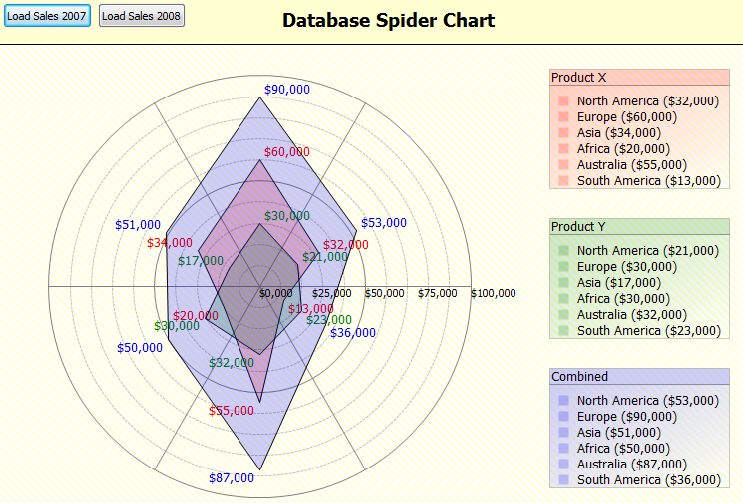 TMS Advanced Charts for IntraWeb is equal to TMS Advanced Charts. The product contains chart components that can be used for VCL Windows application development as well as IntraWeb web application development. Saving to a Windows bitmap file offers good quality but generates large files. You can save the AdvChartView to different image formats to improve / reduce the size and quality. The image formats currently supported are JPEG, PNG, BMP, GIF, TIFF. You can also save a single pane to a different image format. Using the method SaveToImage(), by default the image will be saved to Windows bitmap (BMP) format. If you set the extra format parameter (itJPEG, itBMP, itPNG, itGIF, itTIFF), you can choose in which encoded image type your result image will be saved. Save to a jpeg with 50 % quality (quality only has effect on the jpeg format). 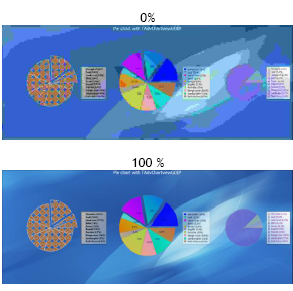 Result when choosing 0 and 100 %. //The rectangle to print the AdvChartView. //OR print a single pane. 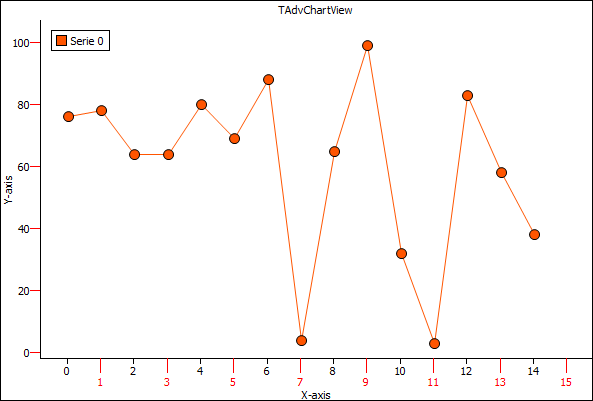 All properties of the TAdvChartView can be saved to a .Chart file. If you close the application and load the .Chart file, all settings will be restored. Here is an example of saving / reloading settings in code. Below are the method definitions that can be used to add informational series to the chart. Below is a code sample to show values from a Microsoft Access Database, using an AdoDataSet, AdoConnection and a Datasource. TMS Advanced Charts has the ability to link with databases and automatically add points from record fields. To do this, the DB-aware chart can be linked to a dataset via a datasource and the dataset field can be choosen for the values of a series and optionally a different dataset field can be chosen as X-axis values. The DB-aware chart will automatically load values of all rows in the dataset as series data points and it will also automatically update values when the dataset is being edited or when new rows are inserted in the dataset. Drop a TDBAdvGDIPChartView on the form. When double-clicking the chart view, the panes editor dialog shows and a new tabsheet named Database. Drop a TTable component on the form. 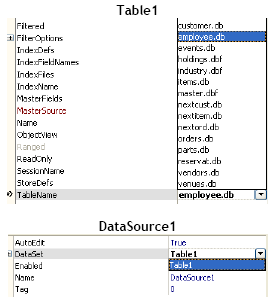 Choose DBDemos as database and employees.db as tablename. Then link the TTable to the TDataSource by choosing Table1 as Dataset. Double-click on the chart to start the panes editor dialog. 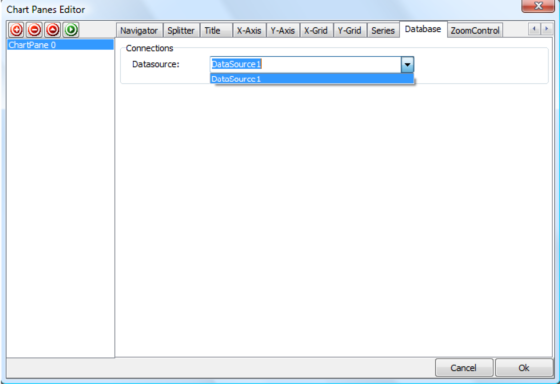 Go to the TabSheet Database and select DataSource1 as DataSource property. Return to the form and set Active to true on Table1 dataset. Remove the 2 other series and leave series 0. Select Salary as Fieldname value for Series 0 and LastName as Fieldname X-Axis for Series 0. After saving the changes, the chart will automatically be updated with every record that exists in the database. Choose a line type and change the AutoRange to arEnabled for automatic Y-Range. TMS Advanced Charts also comes with a GDI+ version of TAdvChartView and adds extra features such as a special zoom control window. The zoom control window allows the user to navigate through the chart and always displays the complete chart range by default. There are 2 handles that can be dragged left or right representing the RangeFrom and RangeTo of the Chart. The zoom control appearance can be customized in the GDI+ Panes Editor Dialog. When you start the application, the zoomcontrol window will be empty. Therefore it is important to link the series by setting the SerieType property of TAdcChartSerie. The SerieType property specifies how and what series from the series collection of the chart is used on the zoomcontrol. stNormal: This is the default value, the series will not be visible in the zoom control window. stZoomControl: The series will only be displayed in the zoom control window. stBoth: The series will be displayed in the zoom control window and as a normal series. OnZoomControlSelection: Event triggered when Range is updated after dragging the Selection area between the range from and range to. Start the AnnotationEditorDialog and click on the- sign to remove or the + sign to add an annotation. You can add multiple annotations per series. Here is an example to remove an annotation and to add an annotation to the first series of the first pane. Note: for pane, serie and annotation adding create use the following code to set properties. There are different kinds of annotations that can be used to mark special points of interest in a series. Balloon, Circle, RoundRectangle, Rectangle : Shapes to wrap around the text. Line: a line drawn from top to bottom on the X-position of the point. Offset (X, Y): the text offset from the X, Y- position of the point. Here is a screenshot with the different shapes. When adding new bar type charts the shape of the bar is bsRectangle by default. When changing the BarShape property on Series level the shape of the bar can be a Rectangle, Cylinder or a Pyramid. Below is a sample that demonstrates the different shapes with one line of code for each series. Customizing the drawing of the markers. A marker can be selected. Set the SelectedColor and the SelectedSize property. Click on the marker at runtime, the marker will be shown in the selected color & size. To add code when a marker is clicked you can use the SerieMouseDown or SerieMouseUp event. This can be used for example to add an annotation at a specific point of the series. Assign this procedure to the serie for which markers you want to customize the drawing. Markers also support picture drawing. Select mPicture and load a picture in the markerpicture property. The picture below is an example of the combination of custom and picture drawing. Depending on the chosen chart type different methods are available to add series data point values to a series. This is done via a number of overload functions of AddSinglePoint and AddMultiPoint. For some chart types, a single value per series data point is sufficient. 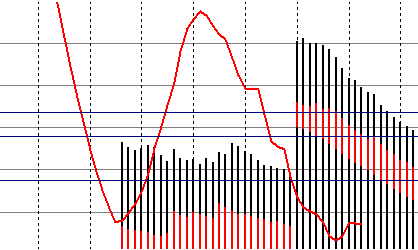 Other chart types such as a band chart or OHLC chart require 2 or 4 values per series data point. 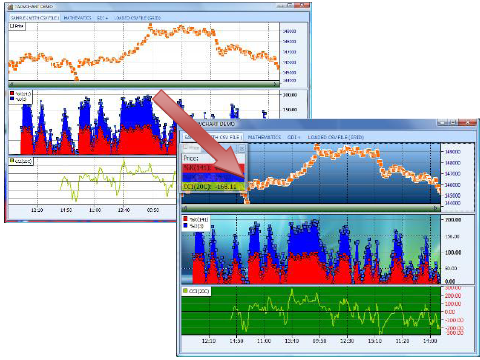 Additional settings per data point might be necessary such as a specific chart X-axis value for a data point or a color of a data point for a histogram. 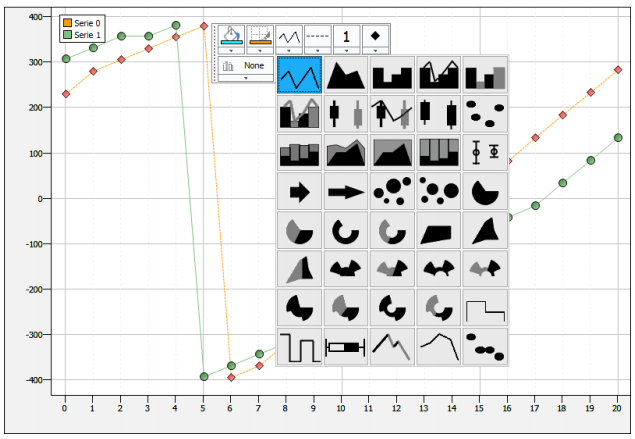 Example: Adding some random points for different chart types. Note: Always set the RangeFrom and the RangeTo to the range of points you have added to the serie that you want to visualize.. Example: Adding points for every month of the year. 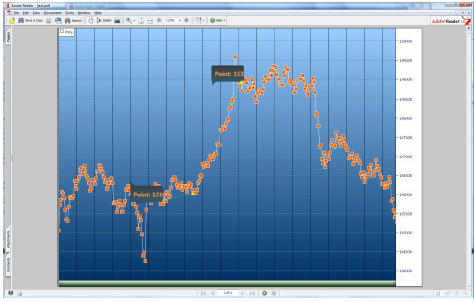 You can quickly add custom text to the X-axis by using one of the overloaded AddSinglePoint methods. Start the SerieEditorDialog and click on the - icon to remove or the + icon to add a series. You can add multiple series per pane. Here is an example to remove a series and to add a series to the first pane. TAdvChartLink is a non-visual component and links a TAdvChartView with a TAdvStringGrid component. Please note that TAdvStringGrid is not included in TMS Advanced Charts. It is separately available at http://www.tmssoftware.com/site/advgrid.asp. 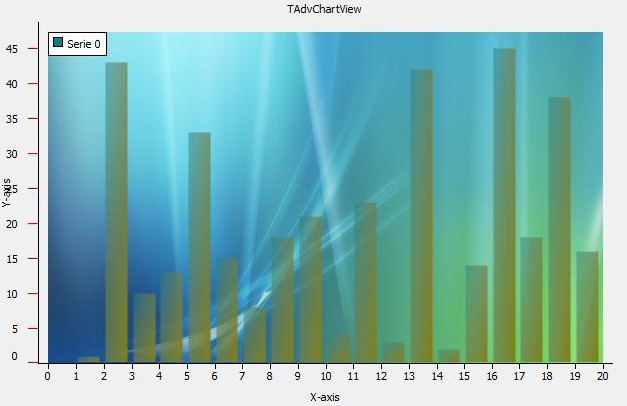 To start, drop a TAdvChartLink, TAdvChartView, TAdvStringGrid component on the form and set the Chartview and Grid properties in the TAdvChartLink component. To Edit the TAdvStringGrid set the goEditing property true in the Options set. The TAdvChartLink component has several properties. First the active property must be set true. To tell the TAdvChartLink which column in the grid will be used to display the data you must select an option from the DataType property. For example select dtFullColumn. Then run the project and type your values in the first column of the grid. While typing, the chart will be updated. 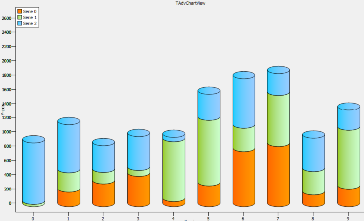 The TAdvChartTypeSelector component is used in the Serie editor dialog to choose a different chart type. It can also be separately used. The component shows a mini representation of the chart type. 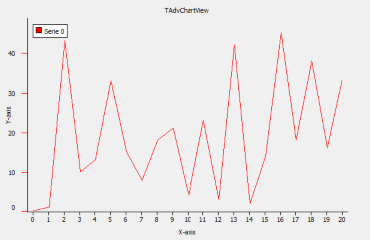 You can drop several TAdvChartTypeSelector components on the form, select the chart type for each TAdvChartTypeSelector and add code to the ChartType MouseDown event to set the selector in Selected mode and get the chart type of the chart type selector. To visualize points the TAdvChartView component must be filled with values. 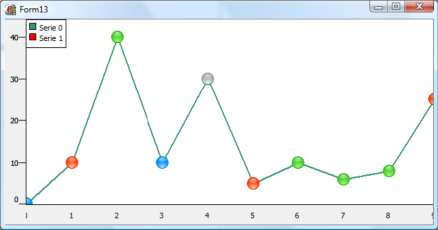 Therefore the method AddSinglePoint adds points to a specific chart pane with a specific chart serie. 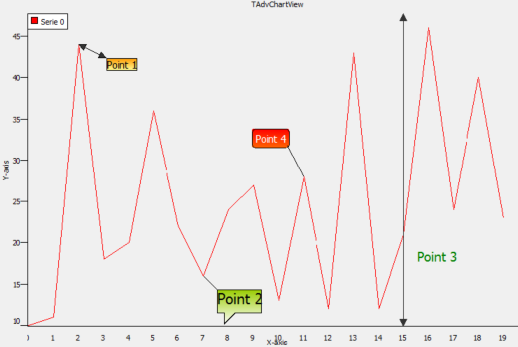 After adding the points, set the Range of points you want to have visualized in the chart. In the sample below the range is set from 0 to 20 to display all 20 values. 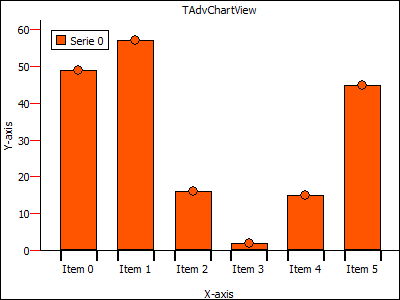 Note: Include the AdvChart Unit to use the value arEnabled for the AutoRange property as this type is defined in the unit AdvChart. 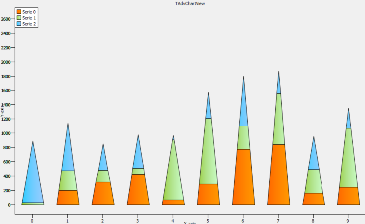 To visualize points, use the same method for adding points as for the TAdvChartView component. To use transparency and complex gradients add a TAdvChartViewGDIP component to the form and add the code below. Add Unit AdvChartUtil to the Uses clause. The best way to see the transparency is to add a Background image. Not all chart types support the 3D view. 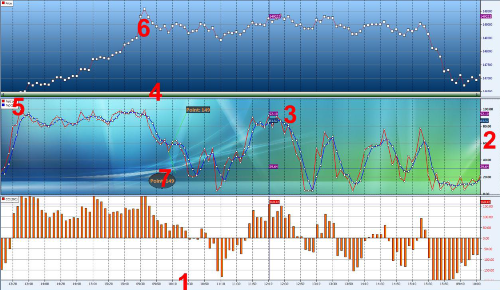 Below is a list of chart types which implement the 3D effect. Displays the range of points in the chart in number format, a date/time format with unit types minute, day, month, year, custom drawn values or specified values per point. The X-axis supports scaling with mouse. Include poHorizontalScaling in Pane.Options property, then click and drag mouse left or right to see more or less points. Displays the range of series values from a defined minimum to maximum or via Autorange the best range can automatically be choosen. The Y-axis supports scaling with the mouse and/or keyboard. Include poVerticalScaling in Pane.Options property, then click and drag mouse up or down or press Shift Up/Down to expand or reduce the maximum and minimum value. The Y-axis can be set at the left side of the chart, the right side of the chart or both sides. Different Y-axis values can be shown for different series. The Y-axis also has the capability to show major & minor units with a different font. 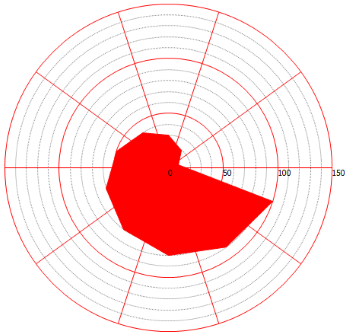 When crosshairs are enabled, move the mouse in the pane area and values which intersect with the crosshair are shown either in the Y-axis area, at the crosshair intersection point, in a separate tracker window or the values can be programmatically retrieved to display in another control. Enable the navigator to scroll left or right in the chart pane. The navigator also offers the same capability as the X–axis itself to zoom in/out. Displays the legend text for the number of current chart series added to the chart pane. Choose a chart type and add markers to mark the Y–value of the point. Add an annotation to add text to important points in the serie. When a New TAdvChartView component is dropped on the form, the component contains one pane with 3 series. Double-click the TAdvChartView component to popup the pane editor that allows adding and removing series from the pane. (X, Y) point between RangeFrom and RangeTo. With the release of the new XY Line and Marker chart, we have added the possibility to add a range of datetimes on specific intervals between the RangeFrom and RangeTo. When updating the chart component at runtime it is important to "tell" the chart to update itself. Whenever you change properties, or add/remove points the chart will not be updated. This is because the chart will be repainted over and over again every time you change a property. This would cause a slow performance. To update the chart at runtime, after you change properties, you must use the BeginUpdate / EndUpdate methods. In the code sample below, 4 series are added to the chart. Series 1 and 3 have the Y-axis on the left side while series 2 and 4 have the Y-axis on the right side. To make clear what Y-axis belongs to what series, the serie line color is set to the same color as the Y-axis value font. 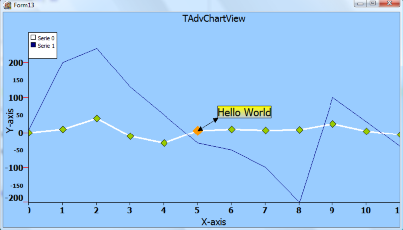 With the latest version of the TAdvChartView component it is possible to add custom X-Axis text by a new override of the AddSinglePoint method that has a parameter XAxisText. The sample code snippet here shows how to add a custom numbering as X-axis label text rotated by 40°. In this event, the Serie parameter returns the Serie for which the X-axis value needs to be drawn. Further, the Canvas and rectangle within this canvas where can be drawn is returned. ValueIndex returns the index of the value along the X-axis. Top indicates whether the X-axis is on top or below the chart. 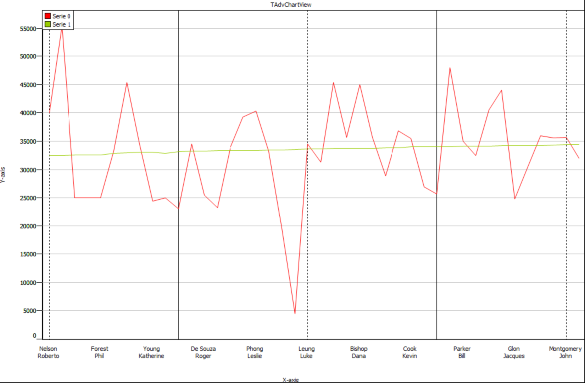 Finally, by setting the DefaultDraw parameter to false, the chart itself will no longer draw the X-axis value.